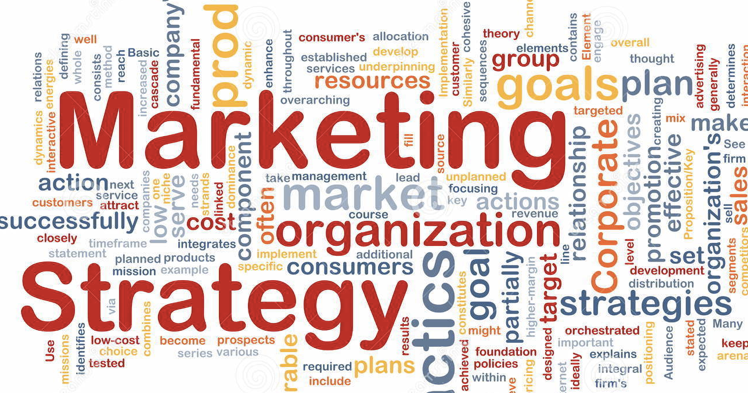 Phenix7 specializes in the strategic channels for making a marketing impact. We help engage your audience in smarter, faster and more focused ways for greater results with less expense. Strategic, Traditional and Digital Marketing Services tailored to help your business grow. Profitable results require fact-based decisions. Phenix7 gathers vital market data and translates it into informed and intelligent actions. With access to major databases such as MRI and Simmons, Phenix7 creates thorough audience profiles. We combine that information with what we learn from focus groups and interviews to fully understand your audience. This core insight drives our strategies to connect you with prospects using hard knowledge instead of mere intuition and guesswork. Your corporate identity is how you appear to your market. It is the visual symbol of your excellence as expressed by your logo and graphic design. With personality and consistency, it differentiates you so that on glance achieves recognition. Your brand identity is your company's essence - the who and what you are. It represents all you offer to your audience, such as value, performance, ethics, and quality of product or service. It is the substance that people connect to. Our marketing artists and strategists help you establish the look and persona for reaching greater heights with your business. Content is crucial to your campaigns. To grow your business through your marketing, the right ideas must be expressed in the right ways. Your writing should connect, inform and inspire with eloquence and persuasion. Phenix7 infuses your marketing content with the style and precision you need. We first dig in to understand your business and audience. We then develop the messaging that achieves your aim. With us, you make your mark through words. Printing is an efficient and affordable marketing component when approached with well-informed strategy. Phenix7 draws from deep knowledge and experience to execute print-based campaigns that apply the right formats at the right prices. Today, sheet or web-fed offset print is still the most cost-effective solution for large quantities without any personalization. Current technologies make digital printing the best solution for smaller quantities. Bigger print pieces such as banners, signage, barricades and POP displays are best served by roll-fed and flatbed printing for large formats. We can also help you increase both B2B and B2C response rates through personalization and variable data. When implemented correctly, direct mail remains an effective channel for connecting with prospects. It allows you to send highly targeted communications using diverse personalization. Phenix7 makes you a master of direct-mail marketing through expert strategy and complex knowledge of the postal system. We also help you cut your mailing costs. Even The New York Times has asserted that mobile marketing is the most powerful media ever invented - more powerful than e-mail, print, direct mail and TV combined. It belongs in your marketing mix if your business has ambition to grow. Phenix7 can help design, implement and manage your total mobile strategy. A mobile app for your business lets your audience engage your brand quickly and conveniently. Phenix7 equips you with the mobile strategies and delivery methods for reaching prospects via the channel where so many are eager to find you. Are you ready for your mobile customer? Your web identity is an extension of your business and brand. It gives you constant, open access to a universal audience. It might even determine how successful you are. To emerge from the Internet crowd, you must be found with speed and ease. Phenix7 increases brand presence online through highly coordinated paid and organic search strategies. Our optimization capabilities can help boost your rankings and traffic in major engines such as Google, Yahoo and Bing. Make your business simple to discover and let your online excellence take care of the rest. Just about everyone is online now. Most of your prospects will first look for you there before deciding to take the next step. At that point, your website will attract or divert them depending on its appeal. These are hits or misses of which you might never be aware. You have to make the right impression. Phenix7 designs and develops professional websites that bring a customer closer. We help you create the online image and voice for conveying the best of your brand. Your website becomes a high-performing representative that works for you around the clock. Social media such as Facebook, Twitter, LinkedIn and Instagram allow your brand to build online communities with people interested in your product or service. They also keep your name, image and message in front of those with great potential for brand loyalty. Through social media, you generate buzz and lead conversations that guide those communities through your marketing objective. It is your opportunity to connect with your core customers on their most visited websites. Phenix7 customizes strategic social media plans that help you grow your fan base, enhance the customer experience and walk those customers down your purchasing funnel. Through our plan, we assess your objective, implement the right media, monitor performance, measure analytics and optimize results. Display ads put your business center stage before your audience throughout the web. This form of marketing lets you reach core customers with highly targeted image or video ads no matter where your prospects are on the net. Your brand achieves the qualified connection it needs to increase product or service awareness to the right person at the right place. Phenix7’s diverse display-advertising capabilities give your brand the relevant exposure it needs. Whether through a thought-provoking video ad that streams just before a favorite web series or an interactive image ad displayed with a highly relevant topic, we’ll get your message in front of the exact audience you desire.